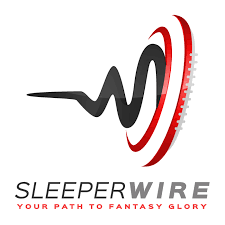 Nick (@SleeperWireNick) with the Sleeperwire podcast joins us to take your questions. We discuss the viablity of Gary Coleman as a WR, have a Fat Guy Food Tip, and of course answer your questions. Come take a Break From The Grind. On this episode we discuss Fantasy Life 3.0, fight bad phone lines (it gets better quickly I promise), @yasin and @stacy's deepest secrets, debate chicken nuggets vs. boneless wings and all the other questions from the fantasy life app. Come take a Break From the Grind. Take Some Time on the Fourth For Some Number 3. This week's guest is @sara from the Fantasy Life app. On this episode we have a fat guy food tip, talk trophies with Sara. She takes our creepy questions, an of course creepy questions from you, the listner. Come Take a Break From the Grind.